Never Enough Nails: NOTD: Sparkly Santa Hats! Every year I have all these big plans for the Christmas manis I'm going to do and then I get too busy with holiday stuff and don't do them. I finally did one of them today and if it's the only nail art I manage to do this season, at least it's cute! I did sparkly Santa hats today! The silver base is OPI I Drive a Supernova. I made triangles with Scotch tape and used Sephora by OPI Merry Me for the hats. 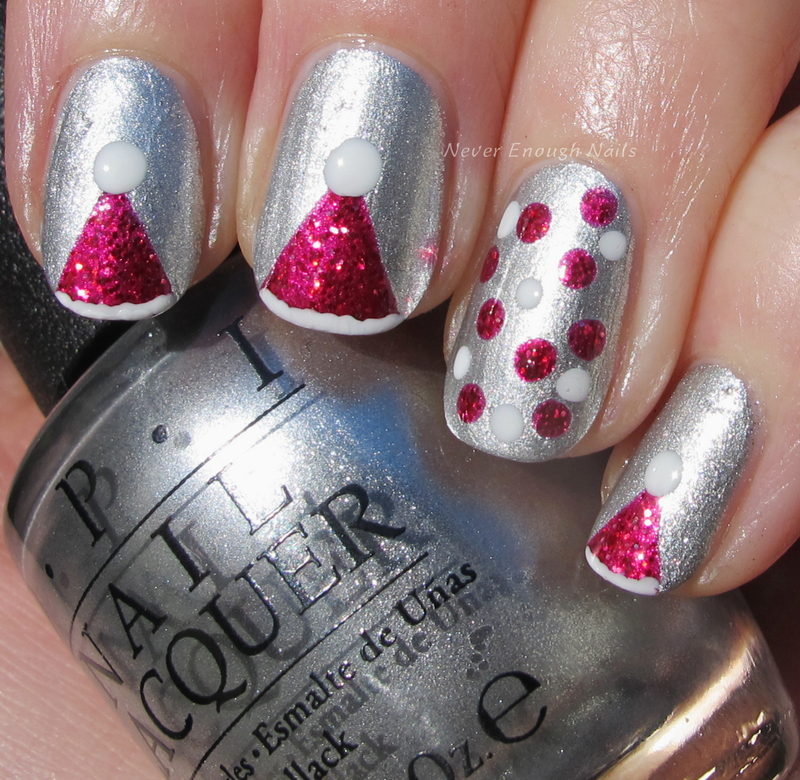 Using a dotting tool, I made the puff ball on top of the hat with OPI Angel with a Leadfoot. I used a smaller dotting tool to make the fluff at the bottom of the hat. This was pretty quick and easy to do, so definitely give it a try if you're like me and have a busy schedule around this time of year! !